Sharks have lived on this earth for over 400 million years! That means they lived here even before dinosaurs existed! 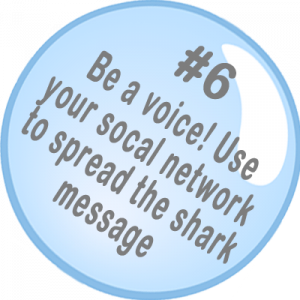 Incredibly, in the last 30 years, humans have driven this 400 million years of evolutionary success to the brink of extinction… In this section, we would like to take a couple of lines to educate and empower you about the plight of sharks. 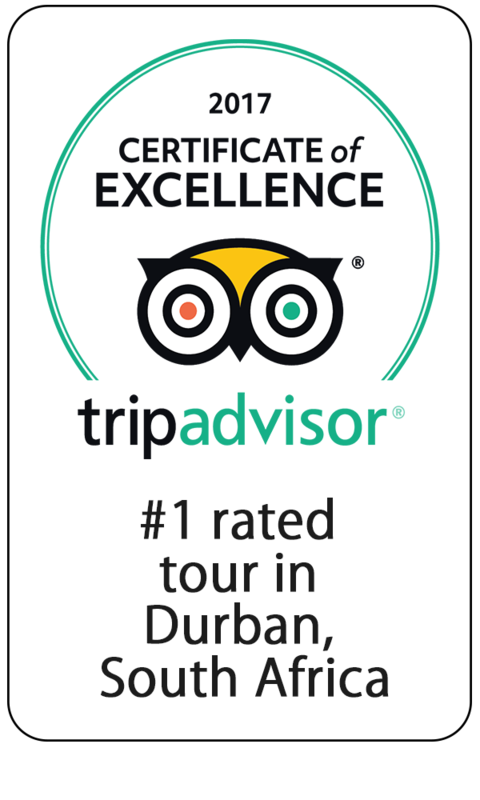 We answer questions such as why is it important to conserve sharks, what are the threats to sharks, and how you can make a small but significant difference to the future of sharks. Due to overexploitation and lack of proper management, many shark species are under considerable risk of unrecoverable decline with some species having declined to near extinction in recent years. According to reports, sharks are being killed at an alarming rate of up to 273 million worldwide per year. Some experts predict that if the killing continues at the current rate many species will be lost forever with potentially devastating implications for our ocean ecosystems. In a study off the east coast of the United States, 11 species of sharks were virtually eliminated from their range. Of the 14 species of marine life that those sharks used to eat, the populations of 12 exploded and caused great damage to the ecosystem. For example, the cow nose ray population was no longer kept under control by sharks and so grew out of control. 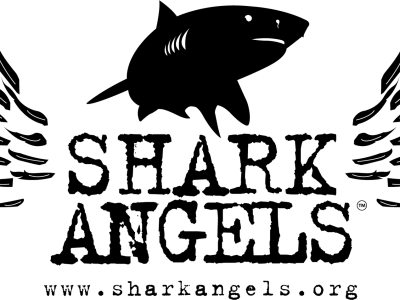 As a result, the rays destroyed the population of bay scallops, their favoured food. The scallop fishery, which had been thriving, sustainably, for over 100 years, was virtually wiped out, with scallop catch dropping to only 13% of its high point. In addition, the removal of the scallops likely had an effect on water quality as they were no longer there to perform their function of filtering and cleaning the water. 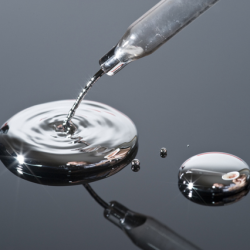 Heavy metals and other environmental toxins accumulate in plant and animal tissues through the well-documented process of bioaccumulation. Sharks are prone to bioaccumulation through diet (biomagnification) as they incorporate metals very efficiently and eliminate them slowly. 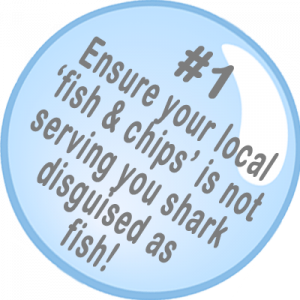 Eating shark meat exposes you to these potentially dangerous toxins, in particular, high levels of the methyl mercury. 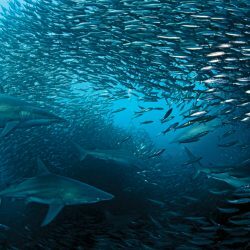 While a certain amount of mercury in the environment is natural, growing worldwide pollution of our oceans is increasing the risk of high mercury levels in the fish we eat, particularly fish at the top of the food chain like sharks. 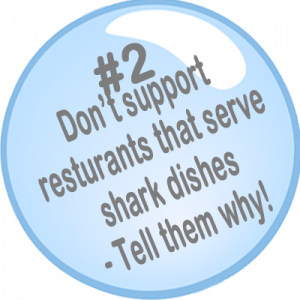 Consuming sharks will increase the level of mercury you ingest which will in turn increase your risk of neurological disorders, autism, infertility,Coronary heart disease or even death. The loss of sharks from certain areas may be an indicator of an ecosystem out of balance and in trouble. 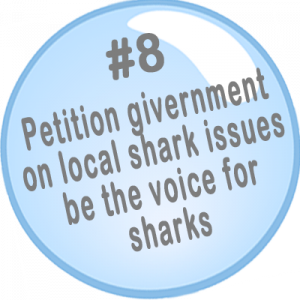 Provided that sharks have not been fished out of certain areas it is reasonable to assume that their disappearance would be a result of the destruction of a suitable habitat. The fact that shark species are so diverse and inhabit every ocean on the planet makes them key players essential to the ocean environment. 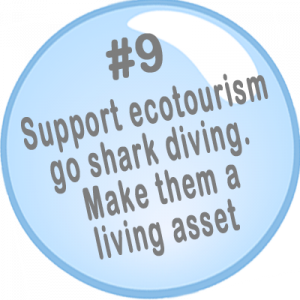 Yet despite their importance in the marine food-chain they remain a low conservation priority. 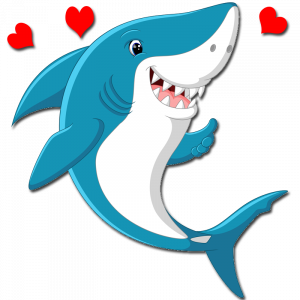 For all their evolutionary success and apparent menace, sharks are incredibly fragile, unable to withstand the increased pressures forced on them by the voracious world fishing industries. This is partly due to the fact that sharks are slow growing animals that mature late, live long, and have a low reproduction rate. 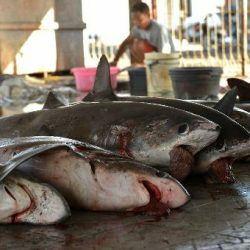 While a huge demand for shark fins in Asia results in the slaughter of tens of millions of sharks annually, a study found that sharks are worth far more alive than dead. In Palau, where more than half of tourists are drawn by diving excursions, each reef shark brings in about $179,000 in tourism revenue annually, or about $1.9 million during its lifetime. By comparison, a single shark’s fin, sold for shark fin soup, fetches only about $108. Sharks regulate the behaviour of prey species, and prevent them from over-grazing vital habitats. 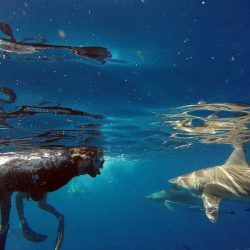 Some shark researchers believe that the intimidation factor caused by sharks may actually have more of an impact on the ecosystem than what sharks actually eat. For example, scientists in Hawaii found that tiger sharks had a positive impact on the health of sea grass beds. Turtles, which are the tiger sharks’ prey, graze on sea grass. In the absence of tiger sharks, the turtles spent all of their time grazing on the best quality, most nutritious sea grass, and these habitats were soon destroyed. When tiger sharks are in the area, however, turtles graze over a broader area and do not over-graze one region. Sharks have evolved in a tight inter-dependency with their ecosystem. They tend to eat very efficiently, going after the old, sick, or slower fish in a population, keeping that population healthy. Sharks groom many populations of marine life to the right size so that those prey species don’t cause harm to the ecosystem by becoming too populous. 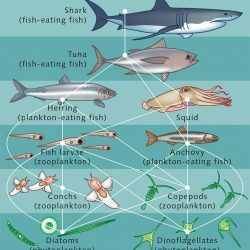 The ocean ecosystem is made up of very intricate food webs. For the most part, sharks are at the top of these webs and are considered by scientists to be “keystone” species, meaning that removing them may cause the whole structure to collapse. For this reason, the prospect of a food chain minus its apex predators may mean the end of the line for many more species. Scientific studies demonstrate that depletion of sharks results in the loss of commercially important fish and shellfish species down the food chain, including key fisheries such as tuna and other important fish species that maintain the health of coral reefs. 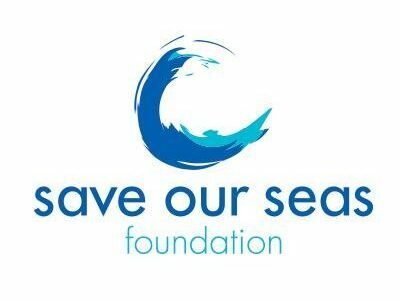 The Save Our Seas Foundation was established to support diverse projects around the world aimed at conserving and protecting our marine environment. 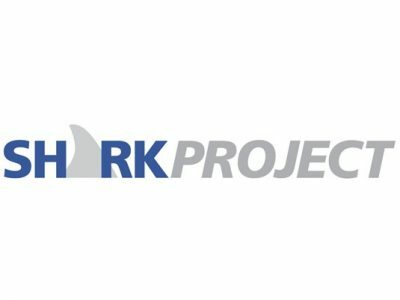 The projects they support fall into the categories of Conservation, Awareness, Research and Education, with a strong focus on sharks and rays. 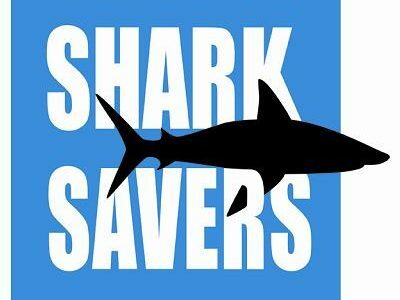 Founded in 2007 by divers with a shared passion, Shark savers mission is to save the world’s dwindling shark and manta populations. Today, more than 25,000 members from 99 nations share that passion. 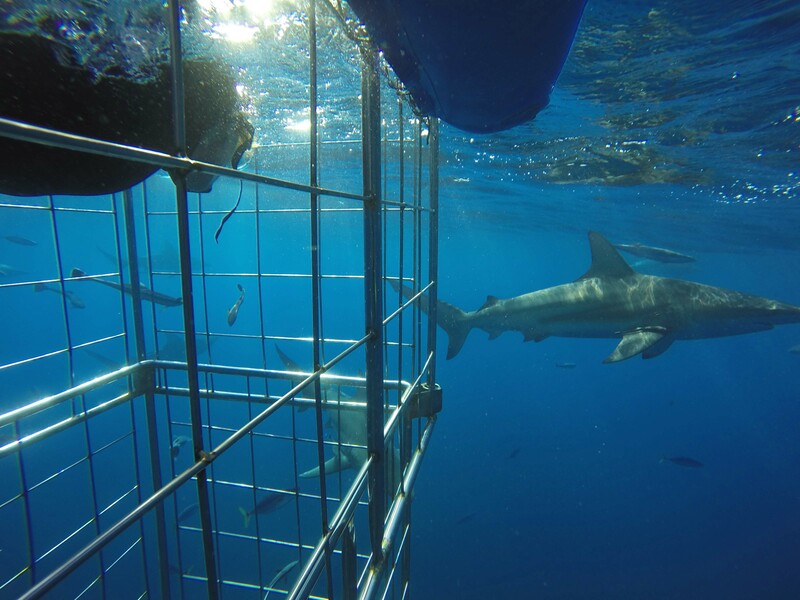 Shark Angels use innovative education and advocacy programs to protect sharks, the ocean’s apex species. The health of the world’s oceans depends on healthy shark populations and every creature on earth depends on healthy oceans for survival. 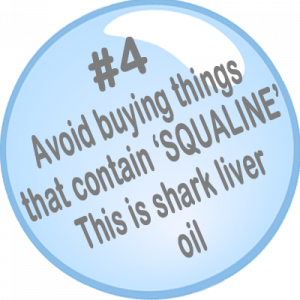 Sharklife is a locally based shark conservation NGO. 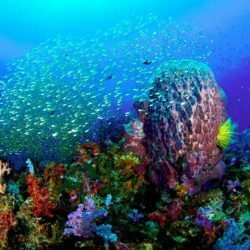 Its objective is through scientific research, education and awareness to bring about positive change in the current destructive trends of ocean exploitation. AfriOceans (AOCA) is a local shark conservation and awareness NGO. 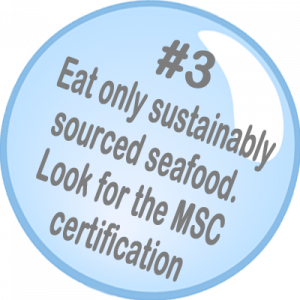 It proactively encourages and lobbies for commercial, corporate and government policies and practices that provide sustainable marine conservation.